Today I'm all about tanning. 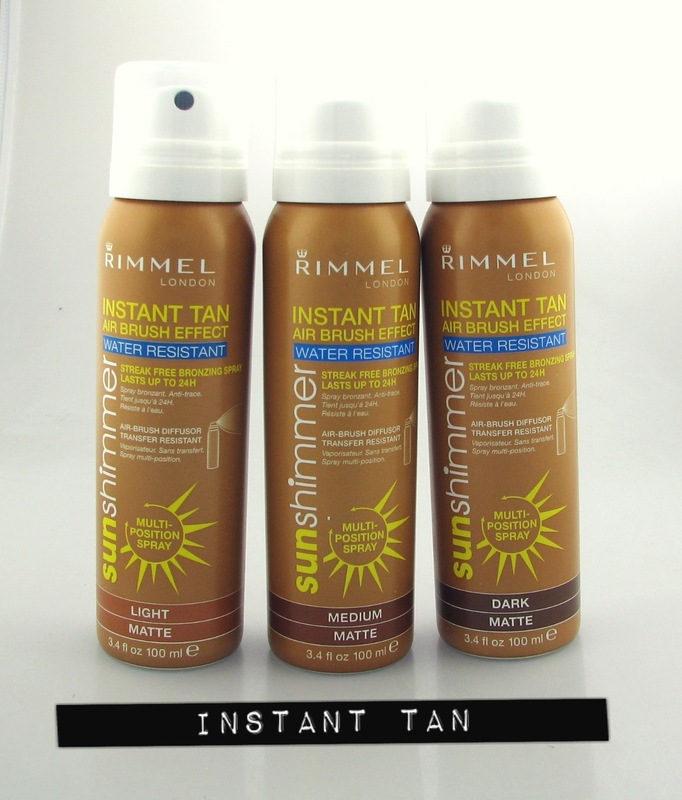 I am not a sunbather so any tan I have comes from a bottle, or a can, or sometimes a packet. I'm always on the lookout for easy ways to get a quick golden look without fuss, streaks or hassle. Mainly this is because I am the laziest person when it comes to faffing about in the bathroom. I am all for speedy beauty, if it takes ages or is a whole faff I usually don't do it. 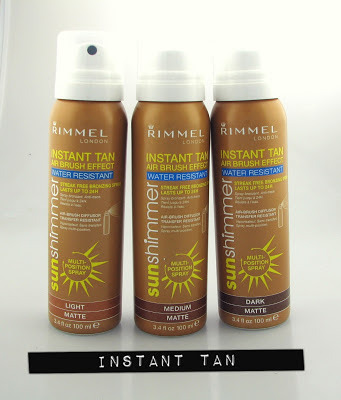 So I was sent these new Rimmel Instant Tan Airbrush Effect cans to try out. Now I thought these would be very up my street. I tried out the He-Shi Luminous Shimmer tan which is instant and I loved it so I was really interested to try this. I got sent two shades in Light and Dark for me to try so obviously I whipped them out of the packet and started shaking the can ready to go. Now the point of the sprays are that you can lightly spray them on and build up the tan you want with an airbrush finish. I think if you were very competent you could even use the darker shades to contour and add some definition. It turns out I am not very good with sprays, I must be a bit heavy handed as I kept getting a splurge of colour and then a lighter colour. I think if you are good with the other spray tans this will be no bother to you at all. I just couldn't seem to get to grips with it though. I kept getting splotches of colour which I had to try to rub in. It isn't really designed to be rubbed in though it's an airbrush so I think if I practise a little more perhaps I will get better with it. For the most part I'm a throw it on a mitt and rub it in kind of girl; my airbrush skills are not good. The colours are true to the guide on the front. The Light Matte is perfect to give me a tan with my pale skin I don't think I could go any darker and the Dark Matte is really dark I'd imagine it would be good for people with olive or naturally darker skin. It's designed to last 24 hours and is transfer resistant, so it's perfect if you have a night out and you want instant colour without having to wait for it to develop. The bottles come in at five pounds which is pretty reasonable I think. It's definitely handy if you're good with a spray format, I'm not very good with it but I'm definitely going to practise and see if I can get better because I like the idea of it.